Many banks, potential landlords, lending companies, and government agencies want to make sure that applicants are earning enough before they can make finance-based decisions. So it’s not unusual for them to ask you to provide a proof of income in the form of a verification letter as part of their requirements. To acquire one, you will need to request your employer to write the letter on your behalf, or in certain cases, you can even construct the letter yourself and then have it signed by your employer. An income verification letter is often needed when an individual is trying to qualify for a specific type of loan, such as a housing loan or an automobile financing loan. The letter is required by many banks and financial firms to ensure that a borrower is eligible for the loan based on his or her source and amount of income. 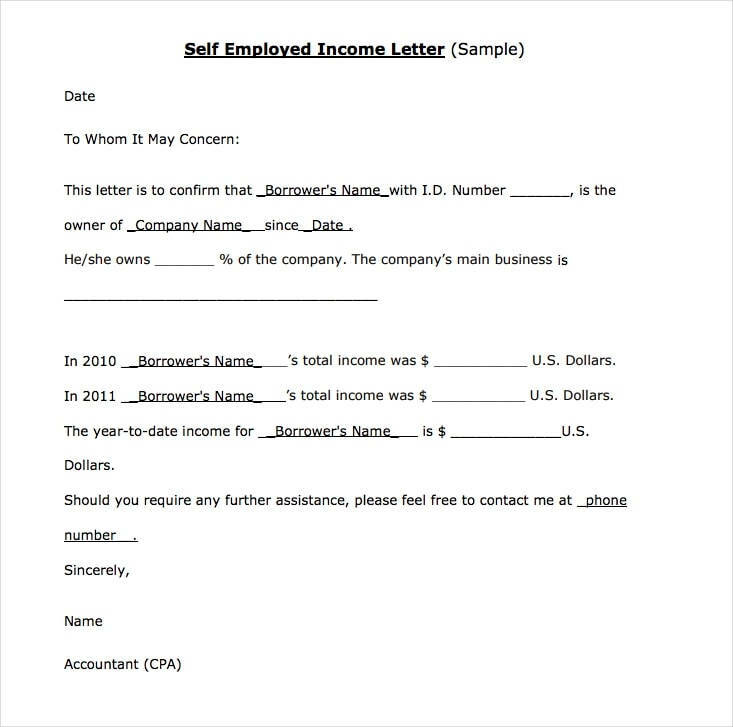 In most cases, the income verification letter is written and signed by the individual’s employer for further validity. This is an important statement that is treated seriously, and therefore should be carefully prepared to avoid any liability that might cause serious problems for the lender as a result of a loan fraud in a transaction. There are also instances when an employee may need an income verification letter for a credit card application, for a rent to an apartment, or for a house. For companies providing these services, the letter serves as an easy way to clarify significant salary and employment information on behalf of the employee. 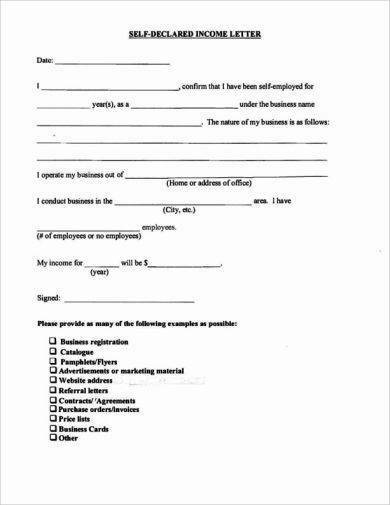 Similar to an employment verification letter, the content of such document would depend on what is being asked by the entity requesting for it. 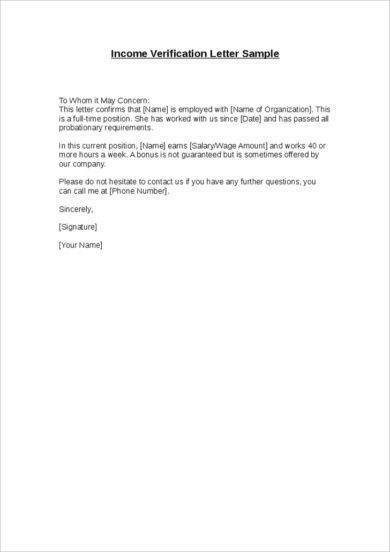 This shows that an employee works for your company and that the salary that he or she has indicated in an application is true. Imagine how difficult it would be to pay back a loan without the financial capacity to do so. Not only can this leave you drowning in debt, but this will also cause major issues for the firm that has granted you the loan. A letter of verification generally states three things: (1) the employee’s designation, (2) the employee’s standing in the company, (3) and the employee’s salary information. If you’re applying for a personal loan or a certain type of loan, it is critical for the lending company to know that what you are earning is enough to pay back the loan or to pay for mortgage. 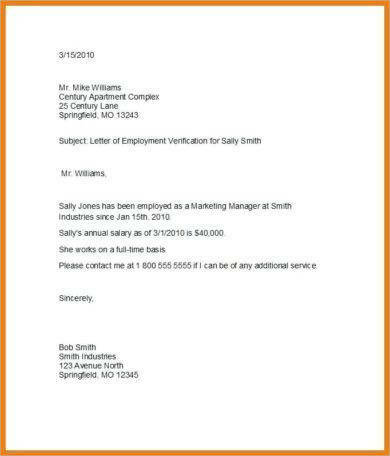 You may also see employee verification letter examples. Most lenders would also want to know how long you’ve been employed, as this often indicates stability as well as your ability to hold down a job. The longer you stay with a company, the more committed you seem to repaying the debt. If you’ve been asked by an employee to provide an income verification letter, then there are a few things that you must remember. For starters, it’s important to draft the document with the company’s official letterhead, which contains a notary public stamp or a company seal. 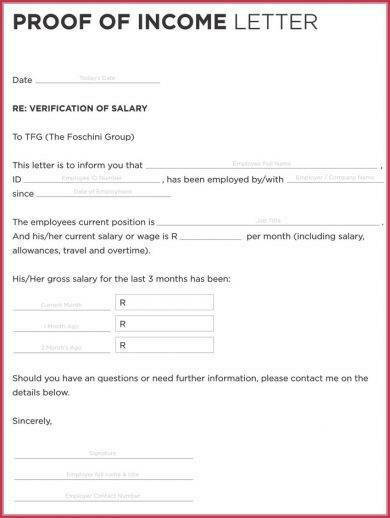 The professional letter must also include the subject’s name, current job position, employment status (part-time or full-time worker), basic annual salary, and a statement indicating whether the employee is a temporary or permanent one. It should then be concluded by the job title, date, and signature of the representative responsible for issuing the letter. There are circumstances when employees are permitted to write the letter themselves and simply have it signed by their respective employers. In this case, a self-written still bears the same requirements as that written by an employer, besides a few minor changes. The formal letter should state your income sources and the necessary verification documents such as tax returns, Social Security details, and/or bank statements. Depending on the requirements asked, you may also need to provide additional information and have the document notarized accordingly. Writing an income verification letter is pretty common when inquiring about a loan, a rental agreement, and other financial-related inquiries. If you’re working for a corporate organization, you may consult your company’s human resource department in regards to the letter. The letter is often provided by an accountant, an employer, or anyone authorized to access your personal data. But if you happen to be self-employed, then the task must be taken into your own hands. 1. Begin with your basic information. Always start with your personal information. You should mention your complete name, your telephone and/or your mobile number, along with your email address. This must be placed at the top left of the page for quick identification. But if you’re writing the letter for an employee, then you can simply use a company letterhead for a more professional approach. 2. Explain your purpose for writing. 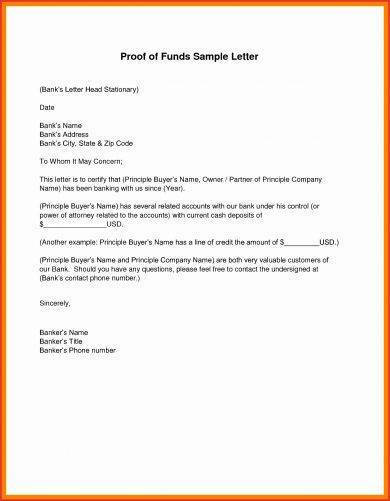 Banks and lending companies handle a variety of documents each day, so to make it easier for them, you may want to explain your purpose for writing through a brief statement right below your contact information. It can come in a memo form, where the purpose is stated in a subject line for quick and easy identification. This way, the receiver of the letter can immediately determine what the letter is for, along with how it should be handled. 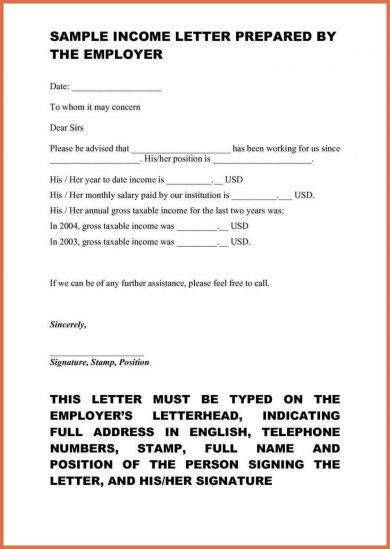 You may also see salary verification letter examples. 3. Start with a polite greeting. When writing an income verification letter, or any formal letter in general, always remember to begin with a polite greeting. Your salutation should include the proper name of the recipient, in which a “Mr./Ms./Mrs.” is used correctly. If you are not sure about the name of the letter’s recipient, then you can opt to address the letter with a “To Whom it May Concern.” Be sure to use a formal, businesslike tone as opposed to a casual one. You may also like simple authorization letter examples. 4. Provide the necessary details. Since the content of the letter may vary depending on the lender’s requirements, be sure to answer any questions the lender asks. Typically, they would want to know the amount of money an employee makes, the employment dates, and any overtime, incentives, and additional payments the subject is entitled to receive. You may also check out how to conduct an employment background verification examples. Most companies would want to know the employee’s take home pay, but others would also require for both the gross and net pays as a precaution. Since routine charges such as taxes and insurances may affect an individual’s bring home pay amount, providing both numbers ensures that the recipient is given the essential information to make an informed decision. 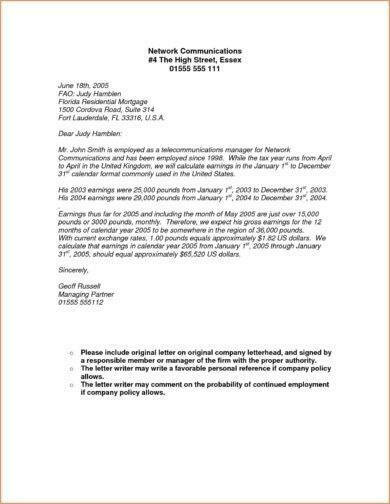 You might be interested in reference letter for employee examples. Also, be careful about what you write. Providing false or incorrect information may lead to some legal issues. Your application could be denied, or you could face some charges against filed against you. No matter how good you are at lying, the recipient will eventually find out one way or another. 5. Include additional information if necessary. Apart from their day job, there are some individuals that seek for additional sources of income through family businesses, government benefits, pensions, and other related funds. This is actually something that could support your cause, so if you happen to receive any of these, mention it in your letter. You should sate the amount received, how often you receive it, and until when. 6. Make a note indicating the supporting paperwork attached with the letter. Attaching a few documents that complement the claims made in the letter is equally important. Besides the letter itself, your salary slip, deposit records, check stubs, and bank statements may also play a key role in your application. The said documents must be signed by the specified entities (bank supervisors, employers, etc.) for further verification as well. Remember to sign the letter before submitting it. 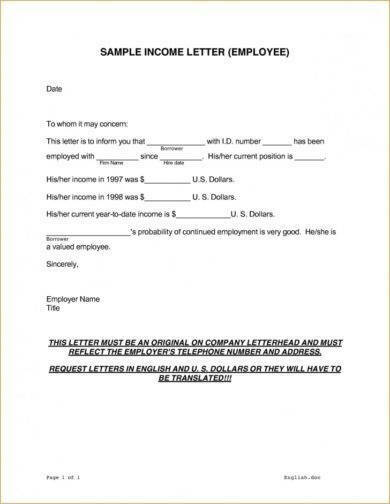 This will certify that the letter has been written or cleared by the employer as requested. 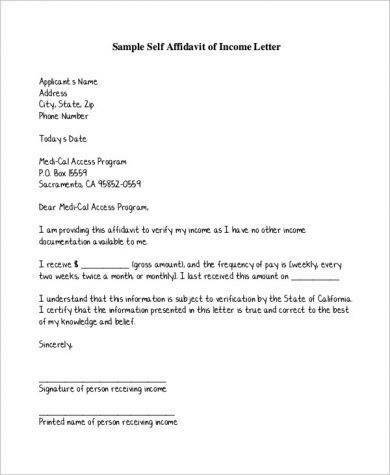 An income verification letter is a formal document that acts as legal proof and verification of one’s income. This can be used for various circumstances, such as for leasing conditions or to make a giant purchase on credit. When writing a verification letter for income, make it a point to answer every question the lender asks. Failing to provide the correct information required for your application may take a toll in the entire process. So if you find yourself in need of an income verification letter to receive a loan, rent an apartment, buy a house, or simply travel to another country, remember to follow these guidelines and examples to obtain a well-written letter.